Downsizing your home can be liberating no matter what stage of life you are in. 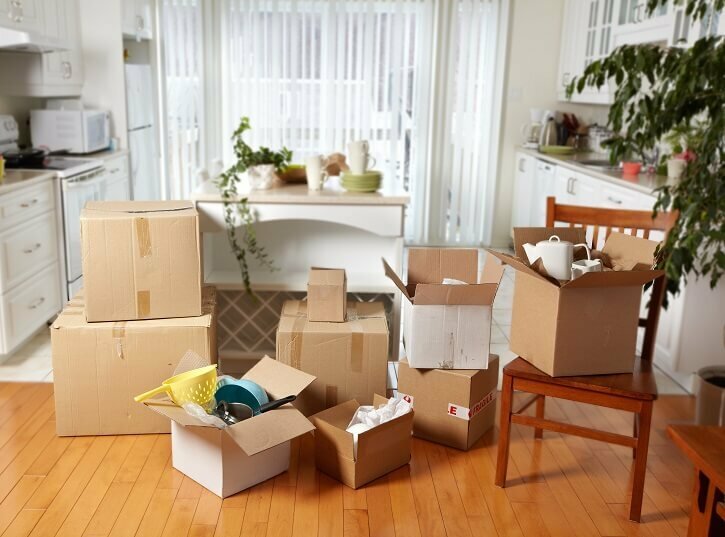 Having all that extra stuff can be cumbersome and cause stress when you move out. 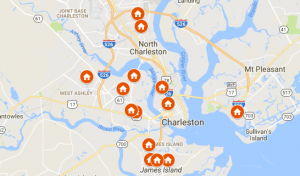 In our latest post, we discuss easy ways to downsize your house here in Charleston. Thinking of downsizing? With each year that passes, it seems that most of us gain more and more stuff….Making it harder and harder to move out. Many of us have closets filled with items we aren’t using, and things stored away in the attic that never see the light of day. Many people buy a home when they are first starting their family, ensuring they have enough space for everyone. But as the years pass and the kids eventually move out on their own, they find they are living in a house that is too large and filled with too much stuff to manage. Have you hear of the One Year Rule for downsizing? Here’s an example of how it works in a closet: Turn all the hangers backward, and anything still backward in a year should be given away. These are the clothing items you don’t wear and they’re are taking up lots of real estate in your closet. It’s okay to have a few sentimental clothing items, but try to keep these to a minimum. You can also apply this rule to other cluttered areas of your house when downsizing. For instance, kitchen gadgets, craft supplies, old electronics, and so on. If you haven’t used it in the past year, the odds are pretty low that it will get any use in the future. You likely have many things you are keeping due to sentimental value…and that is more than okay! Downsizing doesn’t mean just getting rid of everything! You can hang on to some of this stuff, but having too much can weigh you down when you move out. Ask yourself of each object: does it spark joy in my heart? If you are struggling with memorable items, check out Marie’s book for help when you downsize. Maybe your kids or grandchildren would love to have your antique Christmas ornaments that are just lying around in the closet. 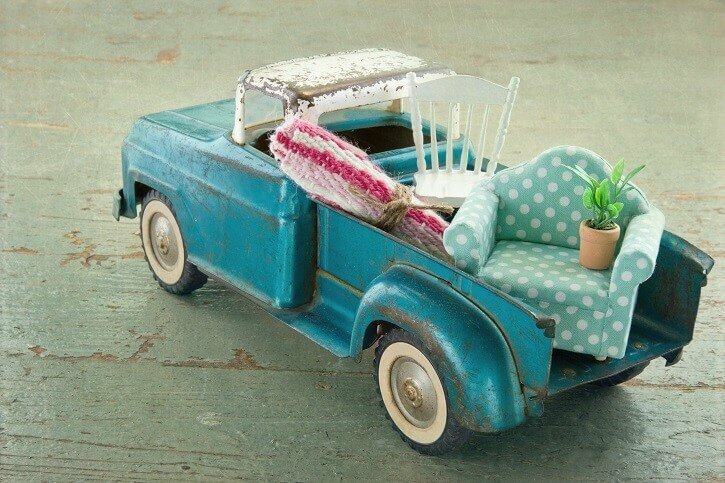 In addition, old toys, clothes, and artworks can find new homes with people you love. This way you can find joy in knowing they are being used and loved, without taking up storage space in your house. 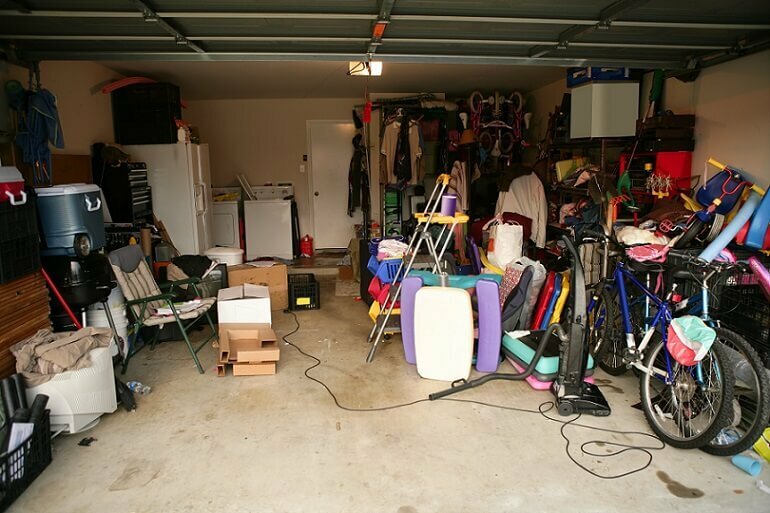 This might seem like a lot of work…But many people will find that all kinds of random possessions have accumulated. They will only end up keeping one or two things, giving away or throwing away the rest. You might be surprised at what has piled up over the years! Here’s something to ask yourself: “Do I really need to keep this now that I’ve been without it for years?” If you didn’t know you were missing it, you should think about leaving it when you move out. Do you need the massive sectional sofa anymore? Is the giant coffee table still a necessity? Remember, you will be physically moving out these items. If you are hiring movers, some companies charge by weight. Sleeper sofas, elaborate dressers, and large appliances can be very heavy. If you don’t love a piece of furniture, take time to think about your options. Think about your future new space, and what kind of items will fit nicely. When downsizing, you can ditch the entertainment center, and instead, hang the TV up on a wall. You can opt for a smaller couch, dining table, etc. You can sell these items, and use the cash toward new furniture for your new space. Do you really need 4 sets of wine glasses or will one set do? Do you need two desks in the office or can you share one? Of course, There are many instances where people buy 2 of something, never using both at the same time. Take an inventory and keep your favorite items, giving away or selling the other items. Will you have a large amount of storage space when you downsize? If not, an easy way to save space is to cut down on duplicates. Before you downsize, take the time to organize all of your belongings. Group books, glassware, clothing, and other items. This will make packing and moving simple when you decide to go. Label all boxes and only pack similar items together. Yes! There is such a thing as a professional organizer. You can hire a professional organizer to help you downsize efficiently. They can offer objective opinions if you are debating holding on to an unused item. They will help you get your belongings in order, making an eventual move a breeze.